Consider this to be the core of an effective skin care regimen. When used daily, it optimizes all other skin care products. Boost your skin’s overall health and wellness and minimize the signs of aging. Light and clean, this non-greasy protective gel shields your skin from the damaging rays of the sun, leaving it moisturized and nourished. 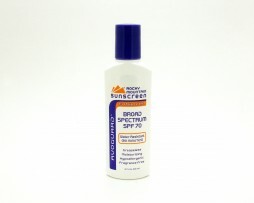 Prevent UV radiation from reaching the skin with this go-anywhere sun blocker. Enriched with antioxidents to moisturize and nourish your skin, this sunscreen features a superior Bonding Base formula that interlocks with your skin, for an application that lasts hours. 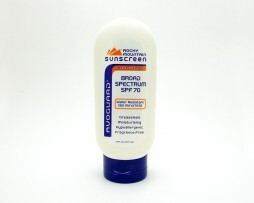 Doubling as a daily moisturizing lotion, this sunscreen protects your skin from harmful UV rays. Combine these products and use their anti-bacterial and anti-inflammatory ingredients to provide highly effective blemish control that leaves your skin spot-free. 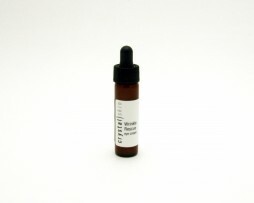 This spectacular eye serum provides even tone to the eye area while moisturizing. If you are particularly prone to wrinkles and dark lines around the eyes, this is just for you! The perfect product for any combination of skin. Contains anti-oxidants, anti-irritants and anti-inflammatories to hydrate, heal, and sooth. Comes in light, medium or heavy. Heal and restore with this exciting combination of natural body care products that lets you pamper yourself while nourishing your body from head to toe. Get rid of blemishes no matter your age or skin type with this effective acne fighting formula. With consistent use, you can overcome the challenge of blemishes for an acne free complexion. Strengthen skin elasticity and restore missing vitamins, minerals and nutrients. Prevent structural breakdown inside tissues, zap fine lines and reduce signs of aging. 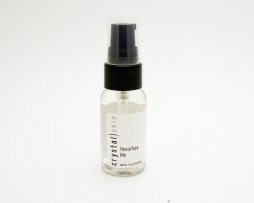 Hydration Boost Me is an ultra hydrating and moisturizing serum that helps restore moisture balance in the skin. 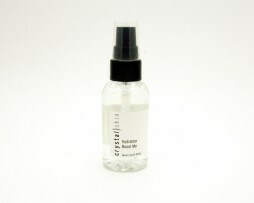 It contains an effective blend of antioxidants and humectants that help strengthen and condition the skin. Hydrate your skin from head to toe and restore suppleness everywhere. This also sooths, heals and calms inflamed skin from the painful effects of dryness. Don’t miss out on buy 3 microdermabrasion treatments and receive 1 for free… YES, $100 value!! Crystal has completely transformed my skin!! I have struggled with acne for 8 years of my life. I've tried seemingly every product in the drugstore. Numerous creams & cleansers from my dermatologist. Birth Control & Accutane from my Doctor. Nothing worked. I was referred to Crystal & her acne products/treatments by a trusted friend of mine. After doing some research I decided I had nothing to lose & I would give it a try. Looking back now I can say that was thee BEST DECISION EVER. With Crystals knowledge and over 17 years of experience, she knew how to pin-point exactly what my skin needed to heal. After my first treatment and a week of using her products I was already seeing results. Six months later I now have silky smooth skin that I can finally feel beautiful in WITHOUT make-up. Something that I never thought I would experience again. 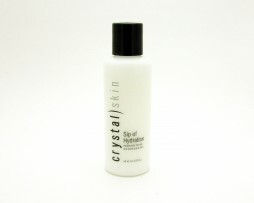 Crystal is the queen of acne treatment! If you've tried a million acne treatments over the years (like I have) and nothing works she can be the cure! She's amazing, knowledgeable, affordable, and specializes in acne treatments. She has her own line of skin care products that I swear by. I highly recommend her! 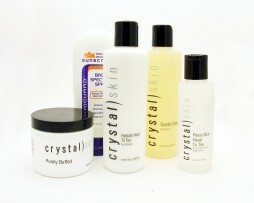 Crystal is an ACNE WIZARDESS!! She saved my face from pure shame and embarrassment. She has such an amazing understanding of skin and how to fix any problem. I also LOVE her skincare line... the scrub is to die for. I will never see any one else. I love Crystal Skin Care! I came to Crystal for help with puffy, baggy eyes. She gave me several samples to try, then followed up with me on how each one was working for my skin. We found the perfect one and I have been using it for years. It has helped reduce the puffy dark circles under my eyes and been a great moisturizer too. Crystal always checks back with me to see if the product is still working and adjusts my care as needed. I would highly recommend Crystal and Crystal Skin Care. I have been going to Crystal and using her wonderful products since 1998. She has really turned my skin around! My mother says I have the best skin in the family. I blame Crystal! She is my secret weapon! She has been honest and diligent with figuring out my unique skin and it's changes through the years. And figure it out she has. She has taken care of me from day one. She makes me feel welcomed and totally at ease with every visit. I really look forward to my visits with Crystal and using her product every day. It's always what I expect and can count on. Thank you Crystal!! 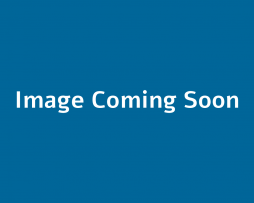 Copyright Crystal Skin Care Products | Kaysville Utah 2016. All Rights Reserved.